Fresh Healthy Low Calorie Meal Deliveries and Meals to Cut and Gain. At LowCal Meals Delivered we cook fresh, chef prepared, portion controlled restaurant quality breakfasts, lunches, dinners and snacks, and delivered them to you in Dublin. 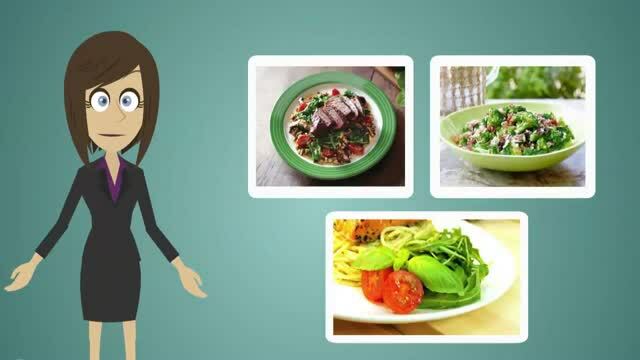 If you are planning to lose weight or gain weight or eat healthier or gain muscle through protein and calorie controlled diet, there are varieties of meal plans that can help support your goals. Many people struggle to find information or time to prepare and cook their own fresh and healthy fresh meals, worry not because LowCal Meals Delivered is here with a solution for you. At LowCal Meals Delivered, providing you with nutritionally balanced and portion controlled meals is our main goal for you to be able to enjoy your free time and as well striving to achieve your personal goals. Diet results are not guaranteed and the weight loss or gains depicted on this website may or may not be typical, the results vary depending on the total calorie intake, family history, physical health, exercise and diet, fitness and many other factors for each client. That is part of the reason why we try not to tie you into a subscription, therefore you can discontinue the service if it’s not working for you. Women's tasty fresh healthy portion controlled meals delivered. LowCal Meals Delivered women's meal plans were created putting into consideration the average calorie which is needed by women, allowing the leeway to change of maneuver space and changing the plan that best suits your personal needs whether you are placing order for convenience or weight reduction as part of the calorie controlled diet through the use of nutritional information we provide. We have many different meals and options so you can swap and switch the meals in order to create your own personal meal plan. LowCal meals do not require a subscription, you can try it for a week and use the service that suits you best. So why not give us a chance for a week and see for yourself. Men's tasty fresh healthy portion controlled meals delivered. LowCal Meals Delivered men's meal plans were created putting into consideration the average calorie which is needed by men, allowing the leeway to change of maneuver space and changing the plan that best suits your personal needs whether you are placing order for convenience or weight reduction as part of the calorie controlled diet through the use of nutritional information we provide. Fresh high protein bodybuilding foods for muscle gain and muscle maintenance. (As part of a calorie and protein controlled diet, results may vary from person to person, depending on many factors such as weight, age, level of activity taking water and many other factors. Make sure you always consult your doctor before you start any diet. Results on this site may or may not be typical.) Why not try it for a week and see if it works for you. We don't tie you into a subscription use our service when it suits you. Fresh healthy low calorie meal deliveries freshly prepared and delivered to your door. Healthy meals, great food delivered to your door in Dublin and Kildare. Meals to gain and cut, eat like a pro athlete, bodybuilder we have feed some of the best. Women's and Men’s healthy weight loss meals and snacks. Got a special occasion coming up, why not try our diet plan for a week and see for yourself if it works for you, if you’re happy with the results we have a great 5 weeks for the price of 4 to keep you focused. At Calorie Meals, we make healthy diet and diet meals and we also deliver them. These plans include Men's diet meals and deliveries and Women's weight loss meals which are also delivered. In addition to these, we also prepare meals in order to gain and cut so as for you to be able to eat as a professional with our meals for athletes and our high protein meals for bodybuilders, our philosophy is Healthy Foods. We deliver to Dublin, Kildare we hope to deliver nationwide shortly so please email us at [email protected] if you would like to be notified when we begin. Healthy Low Calorie Meals- Meals to Gain and Cut- Eat like a Pro!! Bodybuilders, Athletes - Great Tasting Food Delivered to You. At Low Calorie Meals we create healthy *diets and *diet meals and we deliver them these plans include Men's diet meals and deliveries and Women's *weight loss meals which are also Delivered. In addition we also prepare meals to gain and cut so that you can eat like a pro with our meals for athlete's and our high protein meals for bodybuilders our ethos is Healthy Food. We deliver to Dublin, Kildare we hope to deliver nationwide shortly so please email us at [email protected] if you would like to be notified when we begin.